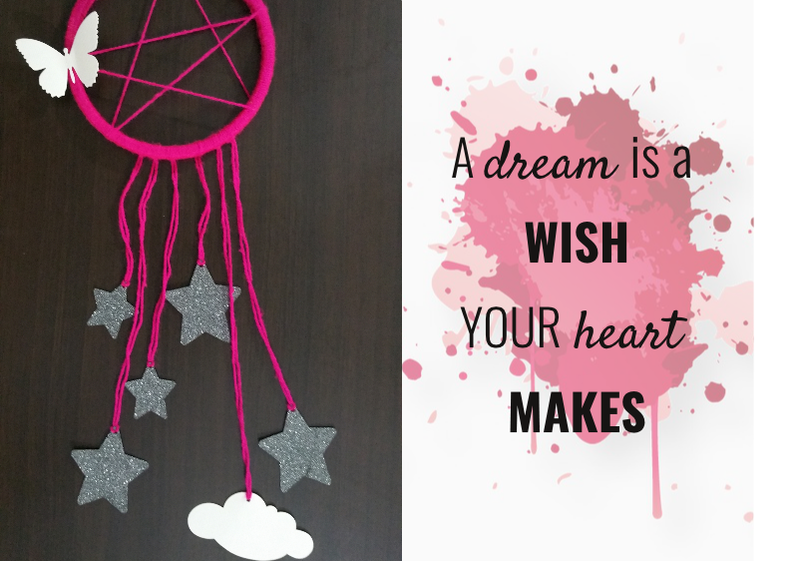 Dangled with glittery stars, dreamy butterflies and milky clouds, this modern DIY dream catcher kit is truly inspired by the cosmos. This craft kit is a unique cross between a dream catcher and something out of Neverland. A perfect finishing piece will stir up the imagination and encourage wonderful dreams for both the waking and sleeping. It makes an interesting gift for the dear ones and a perfect activity for the party lovers! This DIY Kit is carefully hand assembled in our studio using 6 inch wooden ring, bright color yarn and paper die cuts (5 glitter stars, 1 cloud and 1 butterfly). Each kit comes with detail instructions so it is a breeze to create your own stylish wall hanging. Looking to add a subtle yet super cute addition to your room, then this is for you. These sparkling stars might just be the answer with soft cloud and fluttery butterfly to top off the whole look. Everything you see in the photo is included in the kit.